Got the list of all traders from Magnus, but the girl in Khuul (Thendar or so her name) has no Topic regarding trading cards. Is this due to conflict with lgnpc Khuul?. It might be, Thondur, the trader is a nord male though, you might be looking at the wrong person. If you were talking to him then it is like;y a conflict as lgnpc also attaches scripts to some npcs. While using openmw I get a error when entering suran trading house : error in framelistener: Faction 'aa collectors' not found . 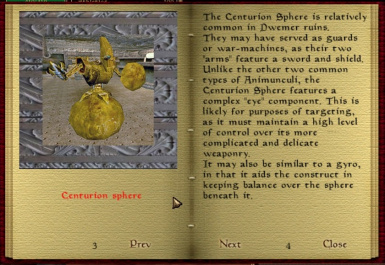 I don't use OpenMW and know next to nothing about how to make mods for it so at this point, I cannot. I don't know why the faction is not found when entering this particular cell, there are a dozen npcs with that faction throughout the game. Good, have you change anything in your modlist or load order? Any word on what he did to fix the problem I get the same thing with openMW. Sorry , stopped playing for some time. Recently got back into the game , tried MTC on openmw again and well suran traing house was somehow fine this time around , but in Balmora the Lucky Lockup somehow now has the same issue. I can't seem to activate packs at all, I've only managed to open one. I think it might be other mods conflicting with it but I'm not so sure about this. Can anyone enlighten me? Normally, you drop the pack (on a table) and simply activate it (the same way you open containers or doors). Awesome mod, imo realistic. Those traders are getting so much money off me just for little papers with words lol. I love this! 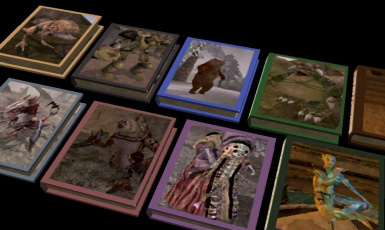 It may be not very realistic, but MW is a game after all, and collecting things is entertaining. 1. 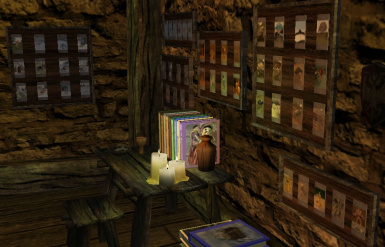 Give interior of Magnus Stylus' tower in Gnisis a unique ID to prevent conflict with Apel's Lighthouse Retexture (replacer, actually, http://www.nexusmods.com/morrowind/mods/42532/? ), which is pretty cool. 2. Make images on cards a bit higher-res maybe? They look slightly blurry. Anyway, just my two cents. Great mod! Edit: Actually I've just read that PikachunoTM did something with your textures, gotta check them out. I used stock vanilla objects on purpose so that whatever texture pack / replacer is used shows in the game rather than the ones I'd choose so I prolly won't be changing that. Pikachuno's update is already on this page. He converted the textures to a smaller size format but didn't change the resolution, I think. Even though it is an older mod, I will update it to fix serious issues (Pikachuno already took care of most typos) I won't re-do the dialogues and who cards are exchanged because that would be incredibly time consuming. 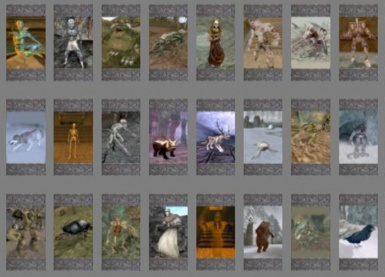 I think this may conflicts Morrowind crafting, which also adds script to the singing crystals that allows the player to mine them. Is there a workaround? I have made a patch and tested it as well as I could with a character that has close to no mining skills. The way it is, you first need to have enough mining skill to mine the crystal successfully and then you have a chance to get a Soul deck, and once the crystal is mined, you won't have a chance to get a card anymore. Do let me know of any issues. I have to start off and say I still like the idea. It's fun to do. It was especially challenging for me because I'm a Lich in my savegame and it's hard to interact with Mortals while in my Lich form because they tend to get very hostile towards me as you might expect. So using my human disguise spell was the only way I could interact with them. It added to the fun of the search. Now with that out of the way, let me discuss some of the problems with the mod. First off, there were a LOT of spelling errors and various other grammatical errors. For instance, you spelled "Artifacts" as "Artefacts" and various other spelling mistakes. I also noticed inconsistency in capitalization and sentence structure. In fact, it looked almost like a 13 year old made the mod which is unfortunate. The next problem is the lack of certain creatures. Notably, Verminous Fabricant. Hulking Fabricant was present but Verminous was not which is a shame because it happens to be my favorite of the two. Another problem was with trading. If you cancelled the trade, you'd lose the ability to trade with that person for a day, even though you didn't actually trade anything. Then there's the issue where trading with certain people results in something different completely. Like Magnus Stylus offered me a Golden saint card and I gave him an Ash creature card. Instead of giving him the proper card, I instead gave him one of my imperfect cards and he gave me an Ogrim card. the last problem is that the Test barrel is still under the Isolated tower's floor. anyone using the tcl code can easily bypass the quest and get all the cards from the start. It should be removed. Additionally, the unique encounter cards should be explained better. I can understand that they're supposed to be a mystery but some hint of where to locate them would be nice. Overall, it's not a bad mod, it just needs some improvement. I agree about spelling, but could you please be a bit more polite to the author? Danae is a master and gave us many wonderful mods, which use complicated scripts much above the level of a "13 year old". She's not a native English speaker, so spelling errors are understandable. Anyone can break any mod using console commands, this is not an argument. Who said I was being impolite? I was just was being honest with how I felt about the mod. I didn't say I hated it mind you. I just said there was room for improvement. It is fine really. No offence taken. Between the honest mistakes, the typos, the bad dialogue windows of the Construction Set and the sheer amount of repetitive lines in that mod, mistakes are plentiful. Well I'm glad that you aren't offended by it. =) it's a pretty good mod for what it is regardless of the typos and bugs. I usually give detailed feedback if I've played the mod enough. It can be pretty blunt when I give it but I'm pretty thorough with play testing mods. Pretty much I'm the kind of guy that's like "if I do this what will happen?" But yeah, I enjoy this mod. Keep up the good work. Hey, if you'd like, I'd be happy to look for any spelling, grammar, or other issues. I know Danae's mods are always amazing, and aanything that makes them more amazing is always welcome! If the card was there in a previous playthrough and disappeared with, I assume a new set of mods and/or load order, the obvious culprit is mod conflict. I downloaded this mod a while ago and have had fun finding cards in loot. It's fun going around and collecting different cards. Is there a way to see the art on each card, though? Also, the name of Magnus' tower should probably be renamed now that it's not isolated anymore. =) I walked right past it, so it blends in well.